WELCOME TO SCRANTON MIXED MARTIAL ARTS. A WORLD CLASS TRAINING FACILITY RIGHT IN YOUR BACK YARD. YOUR EXPERIENCE HERE WILL CHANGE YOUR LIFE!!!! WE GUARANTEE IT! HOME OF THE 33 DAYS FREE OFFER! 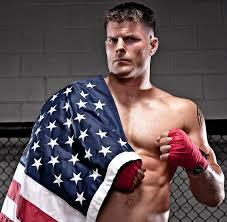 WE OFFER A SAFE FUN, AND CLEAN ENVIRONMENT TO LEARN MIXED MARTIAL ARTS. SIMPLY ENTER YOUR NAME AND EMAIL IN THE BOXES & LEARN HOW TO GET STARTED 100% RISK FREE! 30 DAYS FREE, FREE Private Lesson, FREE Uniform! 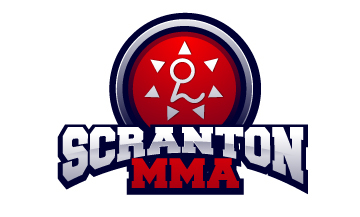 Scranton MMA is the largest mixed martial arts facility in the area. We have dedicated areas forBrazilian Jiu Jitsu, Judo, and Muay Thai. We have a great Intro program for adults that teaches Self defense techniques from Brazilian Jiu Jitsu as well as an awesome Kids program. We have a large parking lot and we are easily accessible from all the major highways in the area including 81, 84, 380 and RT 6. 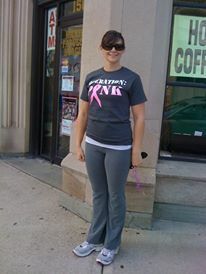 A lot of our new members come to Scranton MMA with weight loss as their primary goal. We promise to offer you great workouts that are fun and exciting that will also burn a ton of calories! One of the most important factors in weight loss success is CONSISTENCY. We know that after trying us out you will be excited for each and every workout. Forget the days of dreading heading to the gym or walking on a treadmill. We want to assure you that no matter what your weight loss goals are we can help you reach them. Perhaps you want to try Brazilian Jiu Jitsu, Muay Thai or Judo or maybe you want to try a bit of everything. Regardless you will burn a ton of calories and have lots of fun all while learning some great martial arts and learning truly effective self defense. And that will help the pounds melt right off! At Scranton MMA we pride ourselves in creating and nurturing an environment that is extremely family friendly! When you walk around the academy you will notice that EVERYONE is smiling and happy. We keep the mats, locker rooms, bathrooms and lobby neat and clean. We have a ‘kid friendly’ locker room where cursing or any strong language is prohibited. Over 30% of our members have at least one other family member training at the academy. We have father and sons, father and daughters, husband and wife and brothers and sisters all training together. We have entire families that train at Scranton MMA! We do all of this to create a fun and effective training environment. Make no mistake we still provide the best training in the area. We have many national, regional and state championships we could boast about and a good part of the reason we have those championships is because of the family atmosphere at Scranton MMA! No one wants to go to a school that they don’t like and EVERYONE gets excited when it is time to train at Scranton MMA. Moms love the stress relief, Dad loves the exercise and the kids love the fun games we play in our kids jiu jitsu classes. Also we are the only martial arts facility in our area that has a ‘sprung floor’. That means that all of our mats or raised off the ground on 3 inch foam springs. This is absolutely the safest way to learn self defense and helps reduce injuries and makes it easier to train if you have existing injuries. The main training area is where all of our Jiu Jitsu classes are taught as well as all of the Judo classes. We also hold some of our Muay Thai classes and MMA classes on this floor as well. Dont worry with 4,000 square feet of mats we have plenty of room. Looking For Something NEW To Try? Sometimes we just have the desire to try something new. Maybe you want to try a new hobby like Jiu Jitsu or Mixed Martial Arts. Maybe you want to become more active. Maybe you’ve always wanted to try a martial art but didn’t know how to get started. Maybe you just saw the UFC on tv or heard about a friend who trains in a martial art. Maybe you are new to the area or are looking to meet some new friends? Maybe you are a student looking for something fun to do when you don’t have class? Maybe you are looking for a great way to relieve stress? Regardless of why you are thinking about Martial Arts, self defense or MMA Scranton Mixed Martial Arts is the place to try out. We have the most experienced instructors. We also have professional instructors for each and every martial art we offer. None of us pretend to know EVERYTHING or teach every aspect of self defense. Our instructors specialize in the martial art or style they teach with YEARS and YEARS of experience and are waiting to pour out that knowledge to our new students. But please don’t take my word for it. Watch a few more testimonials by some of our very happy and very satisfied students. These should help convince you to take us up on our offer of a FREE private introductory lesson, A FREE uniform, and 30 DAYS FREE! Scranton MMA instructors have a great passion for Brazilian Jiu Jitsu and have dedicated years upon years of training students in this great martial art. We have multiple Black Belt instructors who will help beginners progress quickly and allows our advanced students to reach the highest of goals. We are partnered with Phil Migliarese of Balance Studios in Philadelphia. Phil also comes up to Scranton to teach classes as well. We also have the great privilege of having numerous Balance Black belts stop in to train and take classes with us.